Enter directly with QR code and experience the magical world of Hong Kong Disneyland Park! Looking for a 1-Day Ticket with various meal coupon options in just one package? 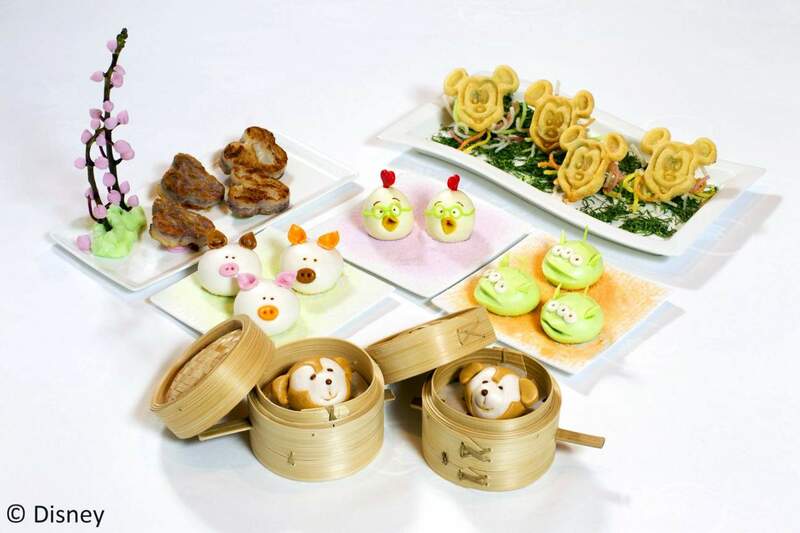 Book Klook's Hong Kong Disneyland Park 1-Day Ticket and Meal Coupon Combo and get up to 21% off! Enjoy all-new day and night experiences including the “We Love Mickey!” Projection Show, "Moana: A Homecoming Celebration", and "Karibuni Marketplace"
Experience the magic of Hong Kong Disneyland with the Hong Kong Disneyland 1 Day Ticket or 2 Day Ticket. Step into seven lands in the Park, filled with your favorite Disney stories and characters, bringing the total number of attractions and entertainment offerings to over 100! Check out all-new experiences like the extraordinary "We Love Mickey!" Projection Show, a surprise celebration that transforms the buildings along Main Street, U.S.A. into a canvas of vibrant, colorful visuals that pay tribute to Mickey's major Milestones. Sail away with the "Moana: A Homecoming Celebration" atmosphere stage show - a unique and highly theatrical fun-filled experience for guests of all ages. Plus, enjoy interactive games and take home souvenirs from the newly opened Karibuni Marketplace. You might even meet old friends such as Princess Jasmine and the Genie from Aladdin, as well as Lilo and Stitch. 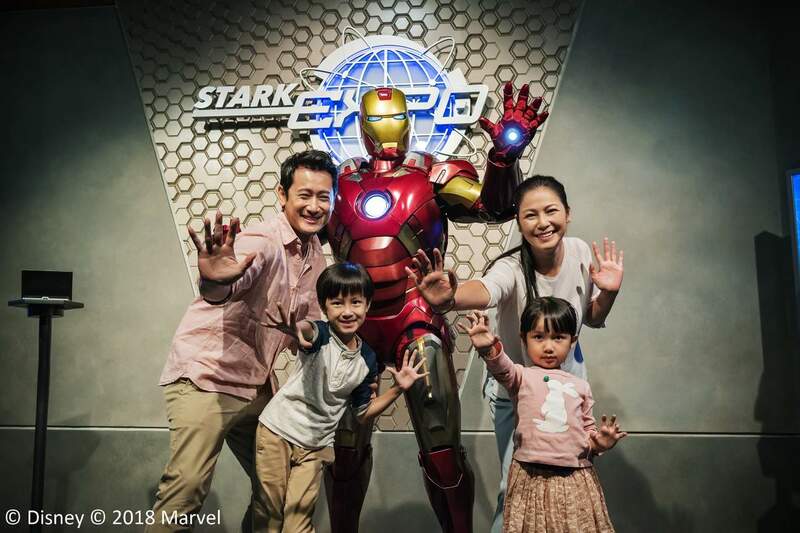 Come to Hong Kong Disneyland and delight in endless fun! From 15 Nov 2018-1 Jan 2019, experience the most authentic Disney Christmas celebration! Be immersed in a stunning winter wonderland filled with yuletide carols, magical lights, shimmering snowflakes, and more! Capture all the cherished moments with Disney friends in their holiday finery and complete the holiday magic at Disney themed hotels. Enjoy wintertime enchantment with your loved ones at the Hong Kong Disneyland Resort! 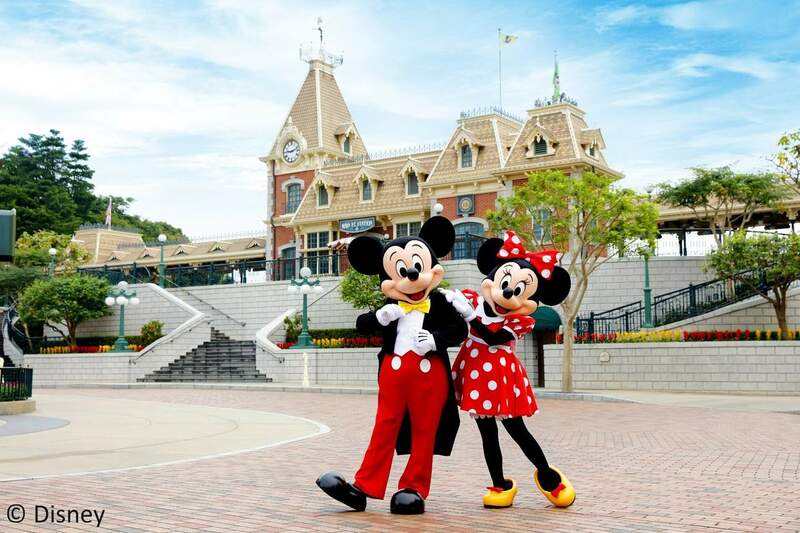 Fulfill your childhood dreams with a visit to Hong Kong Disneyland! 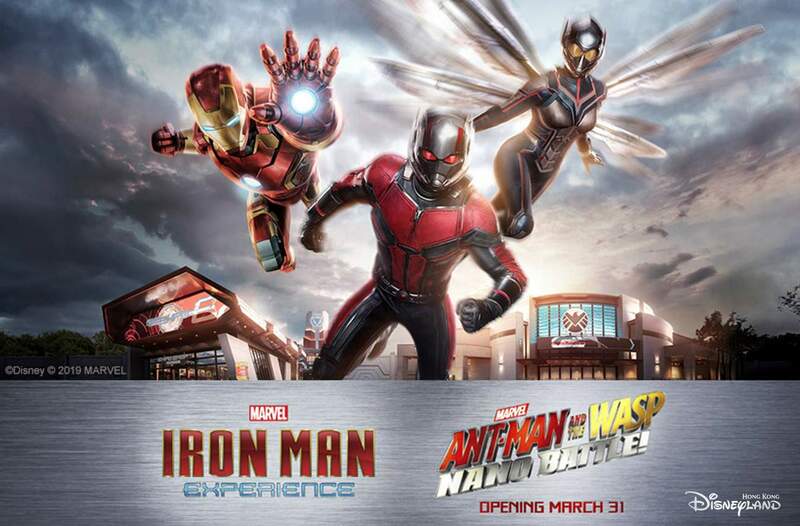 Experience thrilling rides as two iconic Marvel heroes arrive at Hong Kong Disney Land this March! Celebrate your holiday with your favorite Marvel characters! These adorable Disney character-themed snacks are almost too good to eat - make sure to try them all! You can get a fastpass at certain attractions and skip the lines! 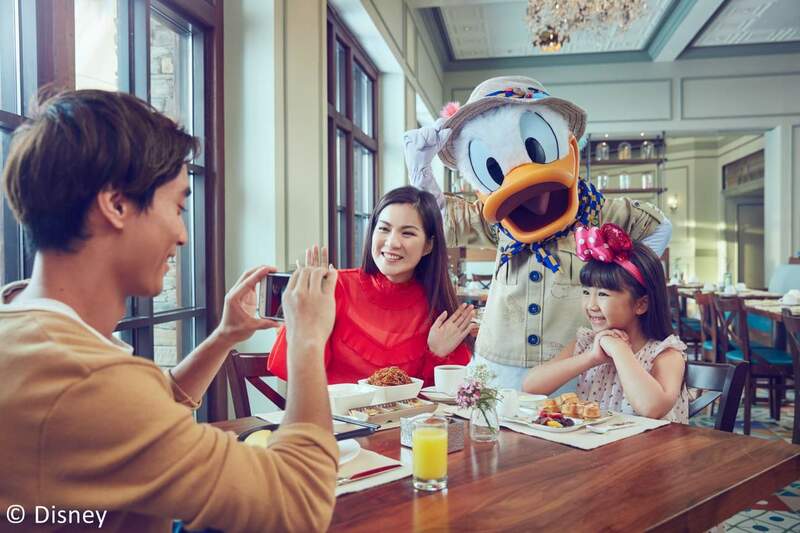 For the best discount at Hong Kong Disneyland Park restaurants, this great value meal voucher (not included) gets you one meal and beverage! Don't forget to pickup free Time Guide while enter park, check performance schedule for “We Love Mickey!” Projection Show, "Moana: A Homecoming Celebration", and "Karibuni Marketplace"
By private van transfer: Book a convenient private transfer through Klook and get great rates! We love love love Disneyland and buying our tickets from Klook made entering very fast and easy. Nothing else to do but line up at the entrance and show the QR mobile code and you enter fast and hassle free. I will purchase again from Klook when we go back. We love love love Disneyland and buying our tickets from Klook made entering very fast and easy. Nothing else to do but line up at the entrance and show the QR mobile code and you enter fast and hassle free. I will purchase again from Klook when we go back. I've tried on my trip last September It's very convenient. You just need to print the e-Ticket that they will send on your email; no need to exchange for the actual tickets once you arrive. They will just scan the barcode, and you are in! I've tried on my trip last September It's very convenient. You just need to print the e-Ticket that they will send on your email; no need to exchange for the actual tickets once you arrive. They will just scan the barcode, and you are in! It's really easy when you booked it ahead of time. No hassle in entering, all you have to do it is present the Voucher and that's it. I recommend to bring water bottle since there is a drinking fountain there. Also wear comfortable and light clothes, if possible wear rubber shoes for you'll be walking a lot in here. Bring a lot of patience too in lining up and also if you can bring snacks, chocolates and candies inside, bring as much as you can. It's really easy when you booked it ahead of time. No hassle in entering, all you have to do it is present the Voucher and that's it. I recommend to bring water bottle since there is a drinking fountain there. Also wear comfortable and light clothes, if possible wear rubber shoes for you'll be walking a lot in here. Bring a lot of patience too in lining up and also if you can bring snacks, chocolates and candies inside, bring as much as you can. The weather was so indecisive during the time me and my family went to HK Disneyland. One minute it rains, another minute it's sunny. Although, generally speaking, I LOVE HK DISNEYLAND!!!! My companions were scared of extreme rides, but I appreciate that they waited for me everytime I wanted to ride roller-coasters to my heart's content. Also, maybe because it was raining, or perhaps it was a weekday, but disneyland was not that congested as I've expected. Queuing didn't take long, it felt like we had fast pass tickets to all rides lol. But the most memorable part of our disney trip was the Lion King Show. HIGHLY FREAKING RECOMMENDED!! IT WAS SO AMAZING! EVERYONE WAS SUCH A GOOD PERFORMER. HANDS DOWN. I was just in awe from start to finish, I'm not even exaggerating. That was one of the best shows I've ever seen in my whole life. If you ever plan to go to HK Disneyland, it is a sin to miss this one. The weather was so indecisive during the time me and my family went to HK Disneyland. One minute it rains, another minute it's sunny. Although, generally speaking, I LOVE HK DISNEYLAND!!!! My companions were scared of extreme rides, but I appreciate that they waited for me everytime I wanted to ride roller-coasters to my heart's content. Also, maybe because it was raining, or perhaps it was a weekday, but disneyland was not that congested as I've expected. Queuing didn't take long, it felt like we had fast pass tickets to all rides lol. But the most memorable part of our disney trip was the Lion King Show. HIGHLY FREAKING RECOMMENDED!! IT WAS SO AMAZING! EVERYONE WAS SUCH A GOOD PERFORMER. HANDS DOWN. I was just in awe from start to finish, I'm not even exaggerating. That was one of the best shows I've ever seen in my whole life. If you ever plan to go to HK Disneyland, it is a sin to miss this one. What a great experience. Value price when you buy online. Super happy my 2 children especially the youngest one. Easy to go inside the Disneyland when you buy online because you don't need to go in lng long line for buying the tickets.when you go there in Disneyland don't missed to watch the miskey mouse show. They will bring you to a wonderful world. It's really magical.and of course it's really wonderful to end your day watching thier Disneyland paint the light. It's really wow. What a great experience. Value price when you buy online. Super happy my 2 children especially the youngest one. Easy to go inside the Disneyland when you buy online because you don't need to go in lng long line for buying the tickets.when you go there in Disneyland don't missed to watch the miskey mouse show. They will bring you to a wonderful world. It's really magical.and of course it's really wonderful to end your day watching thier Disneyland paint the light. It's really wow. It's our first time in Hong Kong and it was amazing. Klook made our life easier during our trip to this country especially in Disneyland. We've avoided the long queue from the ticketing counter and we've had direct entry access. It saved us more time. I recommend using Klook when booking for Disneyland! It's fast and reliable. 😊😊 Thank you Klook! It's our first time in Hong Kong and it was amazing. Klook made our life easier during our trip to this country especially in Disneyland. We've avoided the long queue from the ticketing counter and we've had direct entry access. It saved us more time. I recommend using Klook when booking for Disneyland! It's fast and reliable. 😊😊 Thank you Klook! Im so grateful that i purchased disneyland ticket in klook,when we entered in the park there is no hassle no need to waste your time to fall in line to purchase your ticket,and take note the ticket is cheaper here than in the disneyland,.thank you so much klook! !😗😗the next travel im sure i will book here again..more power!! Im so grateful that i purchased disneyland ticket in klook,when we entered in the park there is no hassle no need to waste your time to fall in line to purchase your ticket,and take note the ticket is cheaper here than in the disneyland,.thank you so much klook! !😗😗the next travel im sure i will book here again..more power!! Q: Do I need to use the ticket on the date I selected when booking? A: No. The Hong Kong Disneyland e-tickets are valid for entry on any day before the expiration date indicated on the voucher. If you have a 2 day ticket, the first visit must be on or before expiration date, and the second day of use must be within 7 days of the first entry into the park. Q: I do not have a printer, can I show the e-voucher on my mobile device? A: Yes. Hong Kong Disneyland will accept e-tickets displayed on mobile devices for entry into the park. Q: Can I upgrade my HK Disneyland one-day ticket to a 2 day ticket or annual pass? A: You cannot upgrade a one-day ticket to a 2-day pass. However, you can upgrade a ticket to an annual pass. Please visit the Customer Service office at Hong Kong Disneyland to upgrade your ticket to the annual pass.